34-year-old, Mayowa Olabiyi was brought before an Ebute Meta Chief Magistrates’ Court in Lagos for allegedly hacking a man to death over 200 Naira. It is amazing what money can make people do. Mayowa Olabiyi, 34, may be regretting his action. He should have taken the option of walking away rather than fighting over 200 Naira. Now he is facing charges for a crime that stipulates death sentence for offenders. Mayowa was brought before an Ebute Meta Chief Magistrates’ Court in Lagos for allegedly hacking a man to death over 200 Naira. 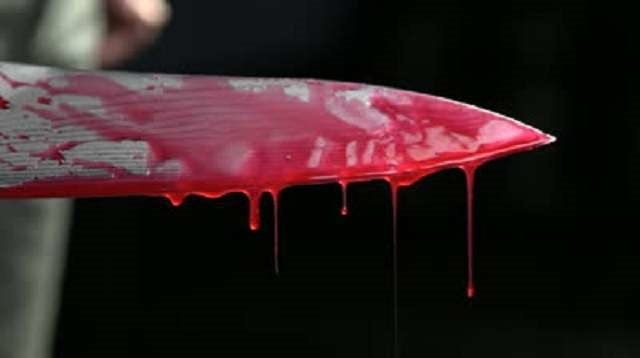 The Police Prosecutor, Oladele Adebayo, alleged that the accused and two others now at large, had hacked Akeem Ajilogba, 23, with a machete while fighting over 200 Naira.